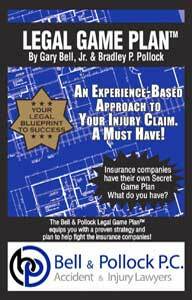 Case results matter at Bell & Pollock. That’s because we know just how important the settlements and verdicts are that we obtain for our clients. This money enables injury victims and their families to continue to live their lives with dignity and without fear of financial ruin. And don’t just take our word for it. 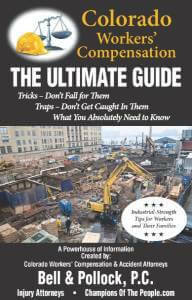 Read the testimonials from satisfied clients we have successfully obtained compensation for in Colorado. Your recovery can be difficult, but getting justice shouldn’t have to be. Some law firms may avoid difficult cases. They may not be prepared to go to trial. At Bell & Pollock, we are prepared to handle all types of difficult cases. We know that people who are injured and facing the toughest legal challenges deserve our help even more. We have successfully won countless cases over the years, and we’re proud to put our knowledge and experience to work for you. CASE:Client was injured by a drunk driver. 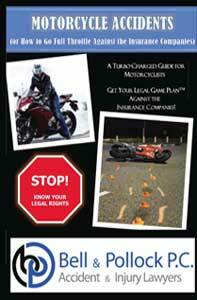 As a result of the motor vehicle accident, client was rendered a quadriplegic and needed a life care plan. CASE:Against Insurance company for failure to pay for property damage after a gas and fire explosion. CASE:Medical malpractice for failure to diagnose a descending aorta aneurism, resulting in death. CASE:Neck and back injuries from car accident. Client had ongoing symptoms and needed injections for attempted remediation of pain. CASE: Client was injured in a 2 vehicle collision. She suffered a traumatic brain injury, concussion and multiple injuries to the neck. CASE: Client was in her car and was T-Boned by a commercial vehicle. Her cerebral spinal fluid leaked and she suffered a concussion and traumatic brain injury with neck and lumbar (low back) injuries. Her neck injury caused radiating pain, numbness and tingling in her arms. CASE: Client was driving on a rural road when another car crossed the center line and caused a head-on collision in the snow and ice. Client did physical work for a living. Both knees were injured, along with a neck injury. CASE: Client was driving on South Parker road when another vehicle rapidly changed lanes and rear-ended the client. That vehicle was cited for careless driving. The collision caused a concussion with traumatic brain Injury. Client missed time from work and had a positive correlation between brain scan and neuropsychological test results. CASE: Client was rear ended by a dump truck, was then knocked forward and hit another vehicle. Client had a concussion with traumatic brain injury. Client underwent a brain scan which showed hypoperfusion, correlated with her concussion symptoms. Client suffered neck injuries and injuries to her low back. CASE: Client was rear-ended. The mechanism of injury from the forces in the collision caused her neck injury and at the same time, damaged her organs inside her throat. Client had swallowing and choking issues. CASE: Client was in a motor vehicle accident. Both injections in the neck rendered some temporary relief. The Injections were transforaminal epidural steroid injections. Surgery was recommended on the lumbar (low back). The low back was injured by the forces in the collisions. CASE: The client was driving in her car and was rear-ended thereby causing injuries to her lower back and neck. Client also suffered a concussion. Client had to undergo facet injections multiple times, through multiple procedures. Client also had cognitive issues which required cognitive training and therapy. CASE: Client was entering a highway from an on ramp and was rear-ended by a commercial van. Client tested positive for Thoracic Outlet Syndrome and failed conservative treatment. Client underwent thoracic outlet syndrome surgey, which involved removal of the first rib to attempt to relieve pressure in the thoracic outlet. Client also suffered a back injury. CASE: Client was injured by a drunk driver, who crossed the center line of the road. Client underwent multiple surgeries and could not work. Client was late 40s and needed a modified life care plan. CASE: Client was rear ended by a tow truck driver who was a diabetic. The diabetic at fault party was a non-compliant diabetic and claimed he had a syncope episode, and was “blacked out”. Client had a preexisting back condition known and the forces from the collision aggravated, or made worse, the preexisting back condition in addition to, causing neck injuries. CASE: Client was a passenger in a car where the driver fell asleep on a country road in the early morning hours. The car rolled multiple times. Client had eye injuries, facial injuries and neck and knee injuries. CASE: Client was on the job, driving her own car, when she was rear-ended. She suffered a concussion with traumatic brain injury and pursued Workers Compensation Claim. CASE: Client slipped and fell on snow and ice in Central City. He suffered back injuries, that did not require injections. CASE: Client slipped and fell on snow and ice on a sidewalk in front of a business. She had to have knee surgery and multiple injections in her back. CASE: Client was visiting a friend who was renting a house. Client tripped on untreated, dangerous section of deck and injured his back. CASE:Client was rear ended and needed fusion spinal surgery. Insurance proceeds were limited. CASE:Client was rear-ended and had to have rotator cuff surgery. Insurance proceeds were limited. 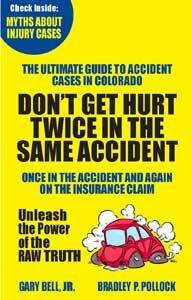 CASE:Client was at Denver International Aiport traveling through Denver, slipped and fell and broke her ankle. CASE:Client was exposed to mold in a multi-family dwelling that was caused by leaking water. If your world was turned upside-down because of a car accident or need help with a workers’ compensation claim, an experienced Denver attorney at Bell & Pollock can work with you and help you fight for financial compensation. This money serves a vital purpose. It allows injury victims to cover your medical expenses, lost income, future earnings and many other legitimate expenses. We understand how important your case is to you and your family. That’s why we want to help you get the results you need. 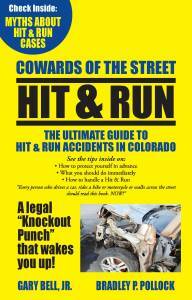 A successful result helps send a message that careless behavior will not be tolerated in Colorado. Bell & Pollock cares. Information is power. The more you know, the smarter the decisions you make. That’s why we believe strongly in educating the public about the law in Colorado. We’re here to help you learn more about the law and get your life back on track. One call can change your life. Put your trust in us. Contact Bell & Pollock – “Champions of the People.” Call toll free (877) 744-5900 or (303) 795-5900 and schedule a free case evaluation. The sooner you contact us, the sooner we can help make things right.